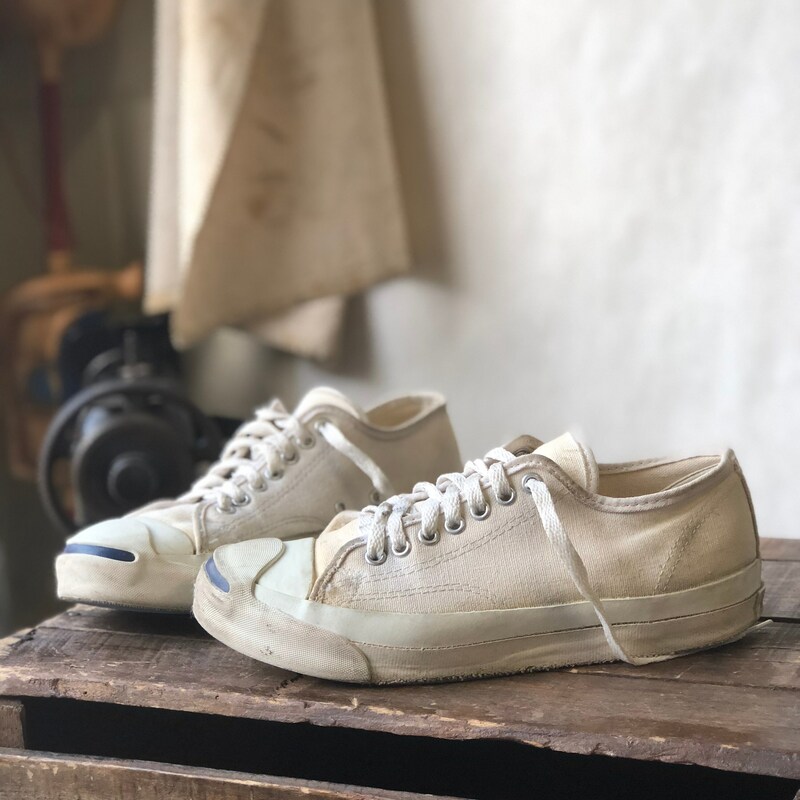 Vintage 1980's Jack Purcell Converse in white canvas. 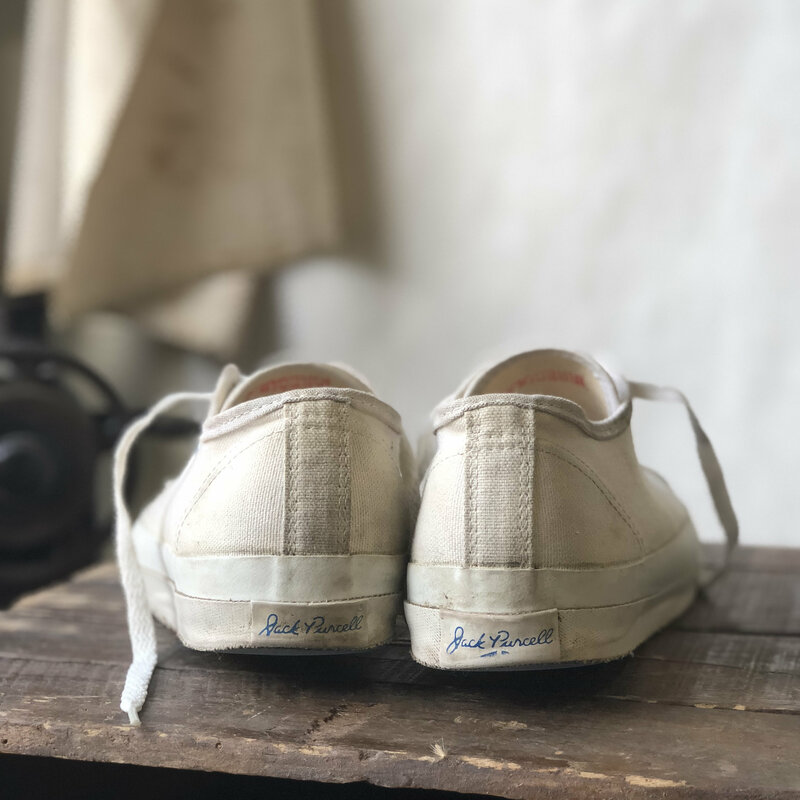 These were made in the USA and are in great shape for thier age. 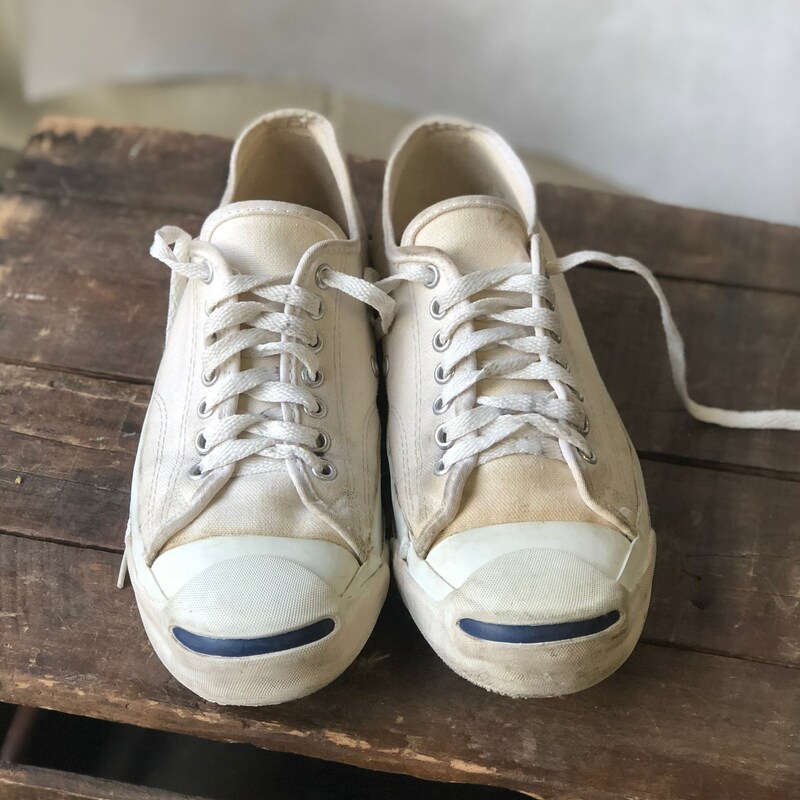 The inside tongue is stamped "irregular", but worn and examined the shoes and can find nothing wrong (though it may be a issue wit the canvas color being a little off). 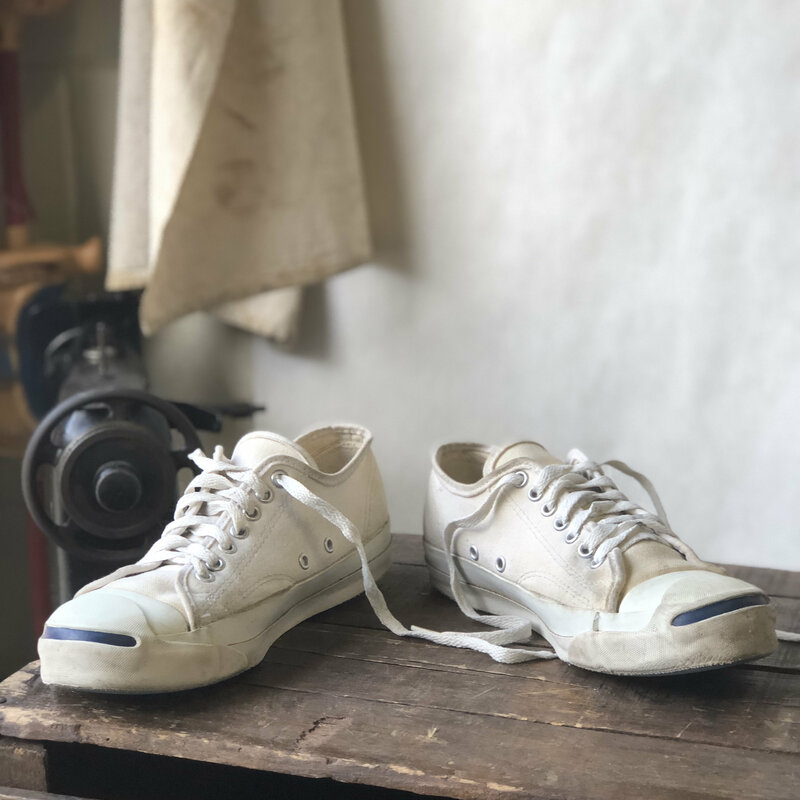 Vintage Jack Purcell Converse Made in the USA. 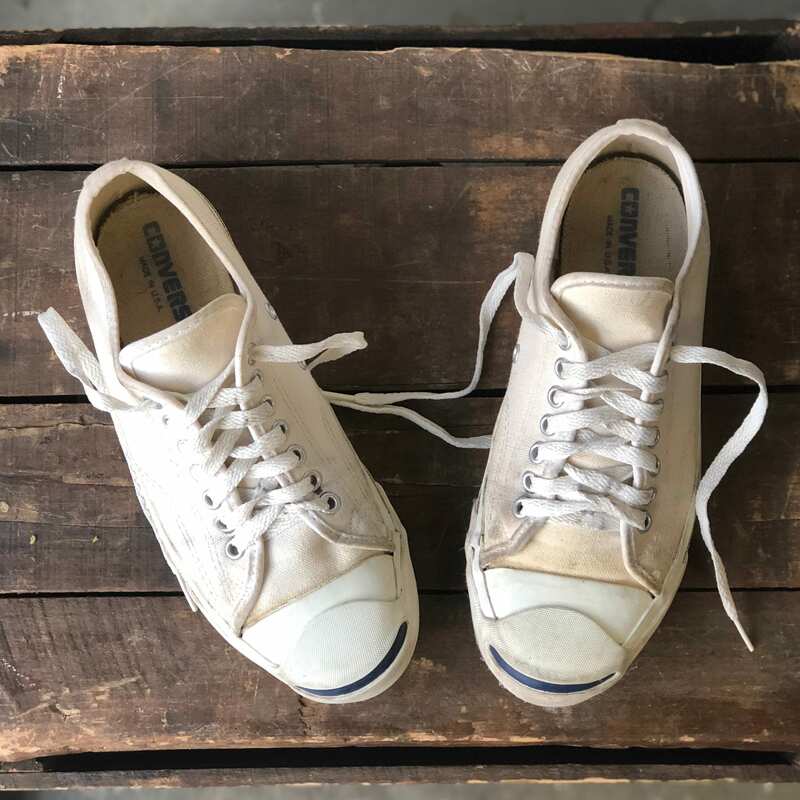 White canvas with rubber soles. 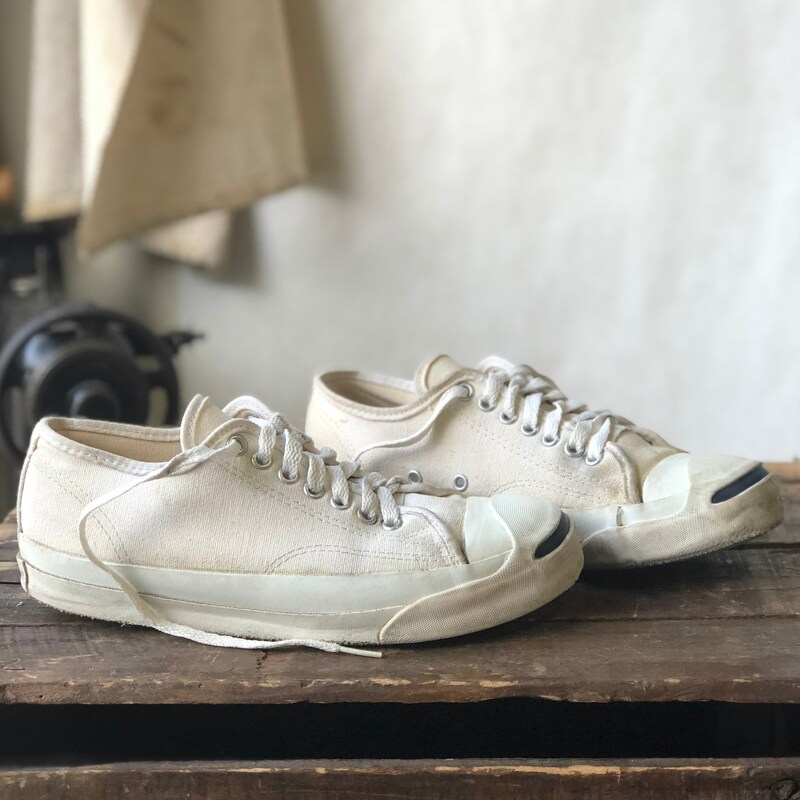 Marked "irregular". 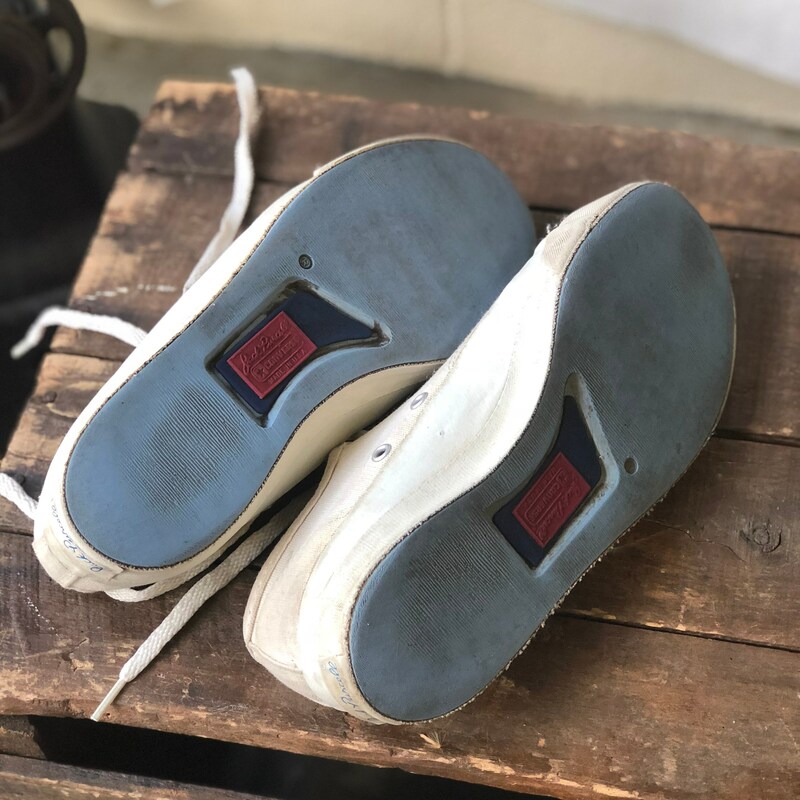 Outsole measured with heel against the wall from wall tip of toe - 10 1/2"
measured at widest part of ball of foot on outsole - 3 3/4"